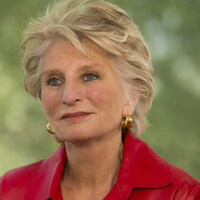 We must embrace the victors and ensure strong roles for women, former representative Jane Harman says from Tunis. As I flew from Los Angeles to Tunis last week, I read about expatriate Tunisians living in the United States voting freely for the first time in more than 20 years. Some 10,000 expats voted here as part of the Tunisian diaspora. Turnout worldwide was an astonishing 99 percent of the 54 percent of the over-18 population that registered. In previous elections, voters were simply given ballots preprinted with the dictator Ben Ali’s name. On Sunday, I was in Tunisia’s capital with a delegation sponsored by the terrific National Democratic Institute to observe the country’s first elections since Ben Ali fled to Saudi Arabia. Early assessments indicate they were an astounding success: a fair process, huge turnout at more than 900 polling places, and a result widely accepted by Tunisians as well as domestic and international observers. A text-message system was created to tell unregistered voters where to vote, something not even available in our country. And all this from a standing start nine months ago, when Tunisia stunningly ended—by peaceful means—more than two decades of authoritarian rule by the corrupt Ben Ali regime. Tunisia’s is the first election to result as part of the so-called Arab Spring, and two neighbors that recently toppled tyrants, Libya and Egypt, are watching closely, as are Syria and Yemen. No one predicts the transitions in Egypt and Libya will be as smooth as Tunisia’s; it is important the new leadership there move quickly to draft a fair and modern constitution and form a pluralistic and transparent government. Several challenges are clear. First, an Islamist party is likely to win the plurality of votes. This should be embraced while recognizing that the big loser in this equation is al Qaeda. Most of its senior leadership is now dead, and its reach and raison d’être are further repudiated by the rise of Muslim parliamentarians prepared to debate and to compete for votes. Moreover, the political parties pledge to govern by consensus and to work with the West. Second, women will comprise 30 percent of the new National Assembly. How much power they have and what they do with it really matters. Tunisia’s impressive minister of women’s affairs, Lilia Labidi, observes that the country has enjoyed years of feminism: its first modern leader, President Habib Bourguiba, instituted divorce and child-custody rights and access to abortions, all firsts in the Arab world. But, adds Labidi, there are no feminists. While Tunisia is full of talented and capable women, some in modern dress and some veiled, they must be passionately committed to forming a democracy that respects them. Indeed, it is imperative that the United States signal its strong support for the new government in Tunisia and in doing so make clear its support for strong roles for women and others. Today, in Tunisia, democracy wins. Its new leaders are mindful of the opportunity and responsibility to their own people and the region. They can be hailed as the future, or they can blow it.